WFTV in Orlando carried a story about a long-term parking lot near Port Canaveral where rumors said customers believed their cars had been driving while they were gone. WFTV set up a sting where they left a car, tracked it with a GPS device, and followed the man by helicopter driving it down backroads, during a night on the town, and doing errands. It allegedly was the owner of the lot, who denied it even though the station had video of what appeared to be him driving the car with the top down. Once you see the video, the raw video from WFTS becomes even more interesting. They have the raw video of the car being driven, but even more interesting is the long form raw video of the lot owner being confronted. 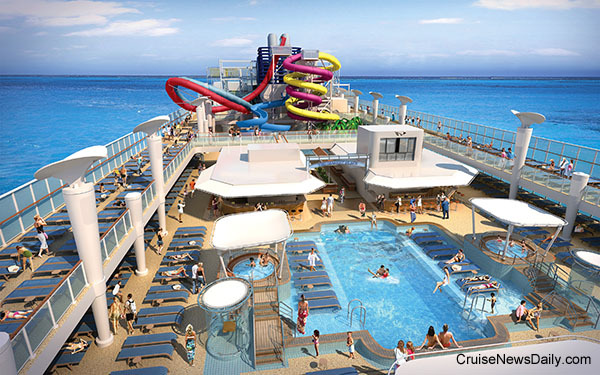 Norwegian Breakaway will arrive in its year round home port of New York in May 2013. 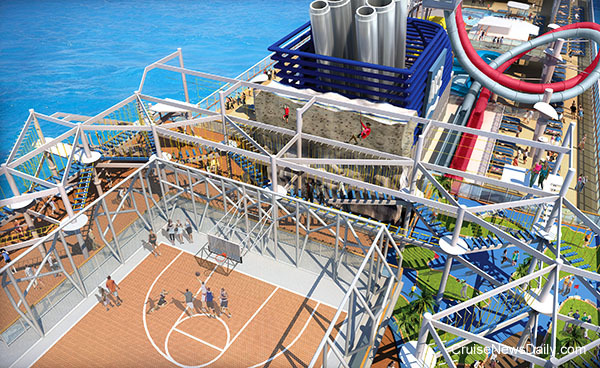 Atop the huge ship will be one of the most extensive sports and aqua park complexes at sea. Many of the features have been seen before, but Norwegian Cruise Line seems to be upping the ante on many of the elements. The Aqua Park will also feature two pools and four hot tubs. 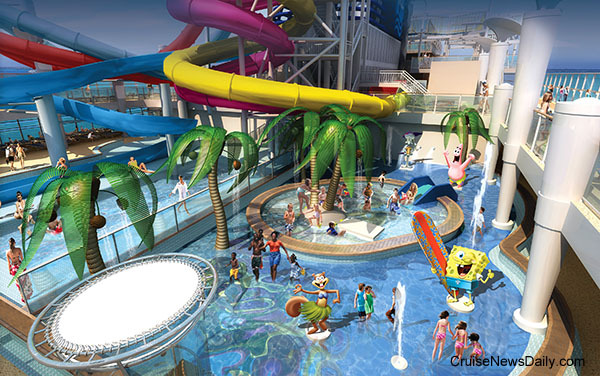 The Nickelodeon-themed Kids' section of the Aqua Park will have a kid-sized pool and slide, and all sorts of things to squirt and spray them. 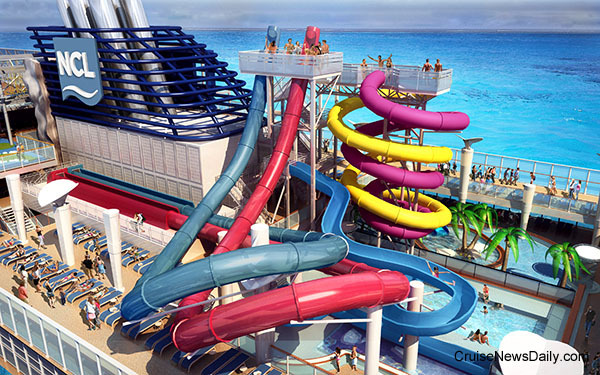 The three-story-high sports complex on Norwegian Breakaway's top deck will feature a 24-foot climbing cage, a rock climbing wall, and a 40-element ropes course. The ropes course includes a feature that takes those who dare 8 feet over the side of the ship. 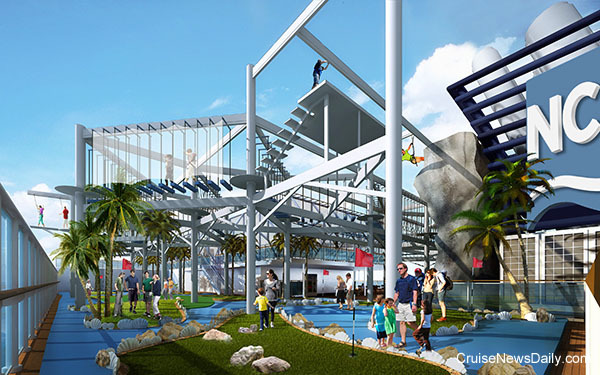 Another element of the sports complex is the line's first 9-hole miniature golf course. Sometimes it's just nice to take a break and go down to the river and watch the ships come and go. One of our favorite YouTubers, NJPhotographer62, does it for us so we can just sit back and enjoy. Here he shows us Norwegian Star arriving at the terminal on April 29, 2012.